Hello world! We are looking for a new full time member! We are seeking individuals with skills and experience in production work, small business management, computer knowledge, and co-op organization. You must be self-motivated and have diligent work habits. Attention to detail, focus, and follow-through are desired qualities. This position requires a 6 month apprenticeship (paid) and a commitment to Nature's Bakery Co-op for another 1.5 years afterward. If this is the right fit for you, applications can be picked up at our store front at 1019 Williamson Street, Madison, WI. Visit us at the upcoming Natural Family Expo on March 8th at the Monona Terrace, next to the CSA Open House! Visit us at the Co-op Connection the first Saturday of October!!! Shop. Eat. Exercise. Get outdoors. Heal. Ride. Brew. Surf. Manage your money... at a co-op! 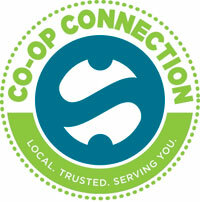 Throughout the event, visit with over 25 co-ops and co-op supporters and learn all that they offer you and your community. Enjoy lots of fun kids' activities, free samples, shop, and sign up to win prizes! We will be closed on July 4th - Have a great holiday! We are changing our Storefront hours next week, June 2-7, as we will be cleaning the bakery! Fresh pita today being packed up! Our pita is extra fluffy and soft on the inside - it is not dry or thin at all! It's made fresh 3 days a week and is great for sandwiches and dipping. Try some today!